If you would like to be notified when the American DJ Micro Galaxian II Laser becomes available please enter your email address here. Light up any party with the Micro Galaxian II laser. This green and red laser produces more than 200 beams that may be projected on a wall, ceiling or dance floor. Safe to use, this laser complies with FDA standards. The Micro Galaxian II is easy to use – just plug it in and run the laser’s built-in lighting programs in Auto or Sound Active mode. Comes complete with a dual hanging bracket and a wireless remote control. The Micro Galaxian II’s compact, light weight case design makes it ideal for mobile entertainers, bands, night clubs and bars or any party goers! Considering purchasing the American DJ Micro Galaxian II Laser? Have questions? Ask people who've recently bought one. Ii live in the uk, can i just plug this in to the plug sockets as i would with a kettle or any other electrical item? And does it rotate 360 degrees or just up and down? Many thanks. Do you own the American DJ Micro Galaxian II Laser? Why not write a review based on your experience with it. Bought this for a family 50th birthday party and it rocked! Combine it with a smoke machine (I got the Chauvet Hurricane 700) and you've got an instant disco inferno. Thoroughly recommended. Just brilliant. Worked so well for a house party. Well worth the money. Really happy with the Micro Galaxian II. Far brighter, faster and generally better than my old laser effect. Included remote control and IR control works great. Would recommend. The laser covers more area than my previous but is missing something, maybe a laser with multiple shapes to add more effects could be my next investment; but in all a good buy! Amazing laser light for your money, great amount of coverage, you will not be dissappointed in this product.Offers superb value. this laser is very small and compact but boy is it powerful. 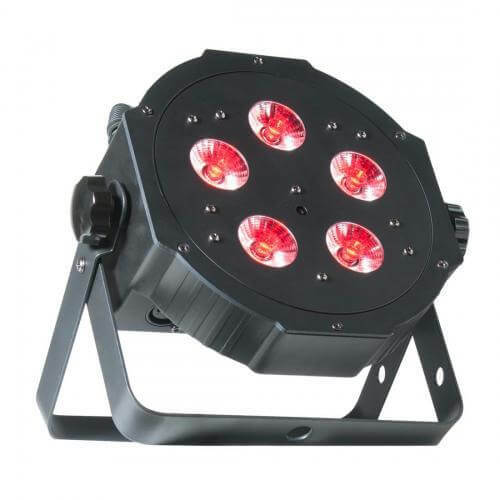 has a very wide projection angle and lots of modes to choose from. found this to be a great peice alongside my JB system light bar. A lot smaller than I was expecting but wow does it have great coverage and very bright. Excellent effects well worth the money. Fills a large room. Very pleased with it. What a great value little device. I was so shocked when i turned it on on my garden. My hardem is 90 ft long by 20 ft wide. It absolutely fillex the lot of it with beautiful light displays. Wish i had bought this before others. Worth every penny. Recommended. Got this to fire backwards behind the rig to add to the overall effect. Spreads well and is bright. Nice remote so I can control colour and blend it with other effcts to go red or green or both. Got an FX Lab red & green firing to the front and they work well together. Very small and light so no extra burden. 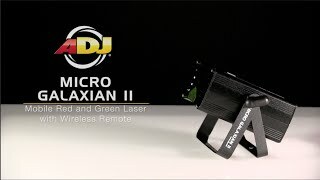 Seen a video for American DJ Micro Galaxian II Laser online or have you own video? You will earn 104 loyalty points with this product worth £0.26, when logged in. 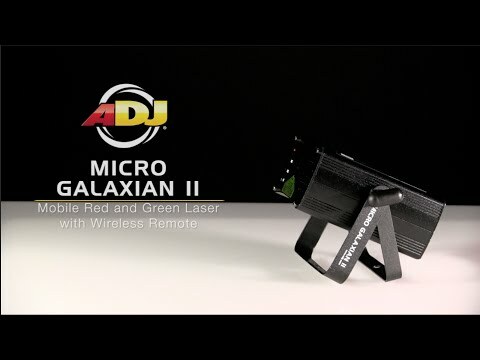 Check out American DJ Micro Galaxian II Laser on DJkit.com!